Taking even just one course of antibiotics can disrupt normal and healthy gut bacteria for up to one year, according to a new study. The study found that a single course of several popular antibiotics can kill off “healthy” bacteria that are important for proper digestive functioning. Antibiotics are commonly used for bacterial infections, including those in the gut, skin, and sinuses. They work by killing off or halting the growth of bacteria in the body. However, medical experts and health professionals have raised concerns about the popular use of antibiotics. Overuse of antibiotics contributes to antibiotic-resistant bacteria, which is more difficult to treat and can even be deadly when effecting those with compromised immune systems. 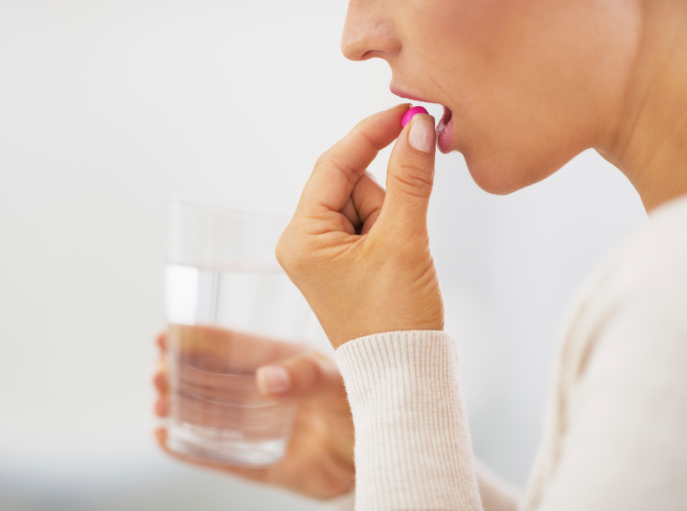 Antibiotics are commonly prescribed for common colds, even though they have no effect. As well, there have been concerns that antibiotics can kill off healthy bacteria in the gut that are important for digestion and immune function. The human digestive tract is home to over 100 trillion bacteria that are essential for good health. These bacteria can also help absorb nutrients and vitamins, as well as protect from certain forms of cancer. Now, a study published in the journal mBio has found that these healthy bacteria can also be killed off or disrupted by antibiotics. Depending on the antibiotic used, bacteria in the gut could be disrupted for up to a year. In the study, 66 healthy participants were studied to see the effect that antibiotics had on their guts. They were compared to a group which took a placebo. Researchers analyzed the participants’ saliva and feces over a 12-month period. The antibiotics used were ciprofloxacin, clindamycin, minocycline, and amoxicillin, which are all commonly prescribed for bacterial infections. The researchers found that the antibiotics significantly disrupted bacteria diversity in the gut after just a single course of treatment. Clindamycin and minocycline both disrupted gut diversity for months, while the effects of ciprofloxacin lasted for an entire year. While amoxicillin was not associated with a large impact on bacteria diversity in the gut, it was the most likely antibiotic to result in antibiotic-resistant genes. The findings indicate that antibiotics could possibly cause long-lasting negative health effects. These health effects could include digestive problems, reduced absorption of nutrients and vitamins, impaired immune system, and even an increased risk of colorectal cancer. By impairing the gut, antibiotic use could also increase the risk of serious infections, which can require emergency care and can be difficult to treat. “Antibiotics should only be used when really, really necessary,” said Egija Zaura, lead author of the study and an associate professor with the University of Amsterdam. While antibiotics were found to have a big effect on gut bacteria, the same effect wasn’t seen on oral bacteria, which rebounded within weeks and did not have any notable increases in antibiotic-resistant genes. The researchers believe that this may be due to oral bacteria being more resistant. Hasan, L.R., “Stop Pill: one course of antibiotics can mess with your gut for 12 months,” Newsmax web site, November 12, 2015; http://www.newsmax.com/Health/Health-News/antibiotics-side-effects-gut/2015/11/11/id/701665/. Mole, B., “Single course of antibiotics can mess up the gut microbiome for a year,” arstechnica web site, November 11, 2015; http://arstechnica.com/science/2015/11/single-course-of-antibiotics-can-mess-up-the-gut-microbiome-for-a-year/. Tate, N., “Antibiotics Cause Year-Long Disruption of Gut Bacteria,” Newsmax web site, November 11, 2015; http://www.newsmax.com/Health/Health-News/antibiotics-side-effects-gut/2015/11/11/id/701665/.